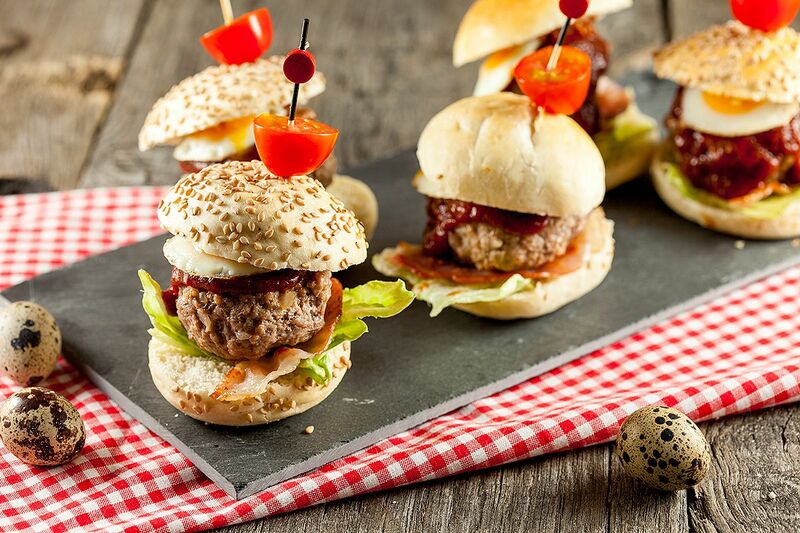 Burgers are awesome, but these burger sliders are even better cause they're so cute. 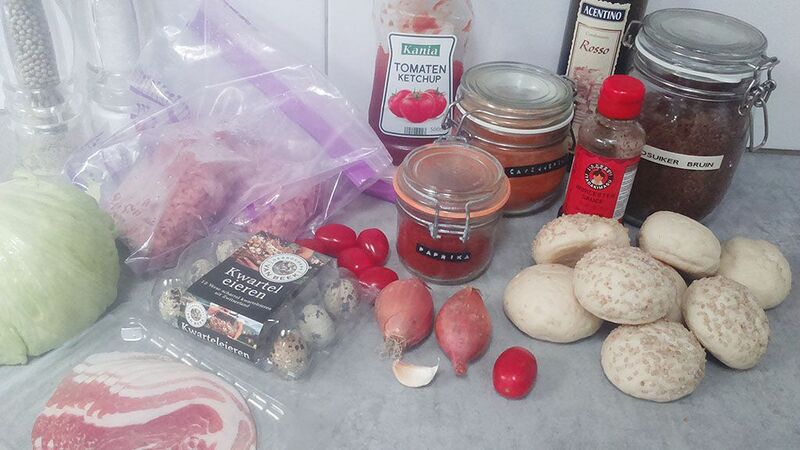 Ready in 20 minutes and makes 8 mini burgers. Finely cut the shallot and garlic clove. HEAT a little bit of olive oil in a large skillet and cook the shallots and garlic for 2 to 3 minutes on medium heat. For a quick BBQ-sauce, COMBINE tomato ketchup, brown caster sugar, cayenne pepper, paprika powder, Worcestershire sauce and red wine vinegar. ADD the cooked shallot and garlic in a large bowl together with the minced meat, pinch of cayenne pepper and season with pepper and salt. COMBINE well and divide into 8 equal portions. 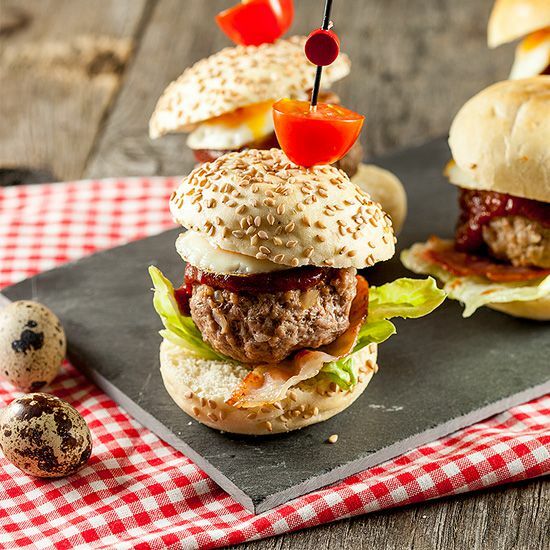 Use your hands to create small burgers. HEAT olive oil in the same large skillet you used before and cook the burgers about 3 to 4 minutes on each side. For extra crispy bacon slices, see our how-to. You can of course just cook them in the large skillet for a few minutes on each side. OPEN up the quail eggs and cook them for 2 minutes on medium low heat. We’ve used a poffertjes pan, so the eggs will be beautiful round but you can use any pan you like. 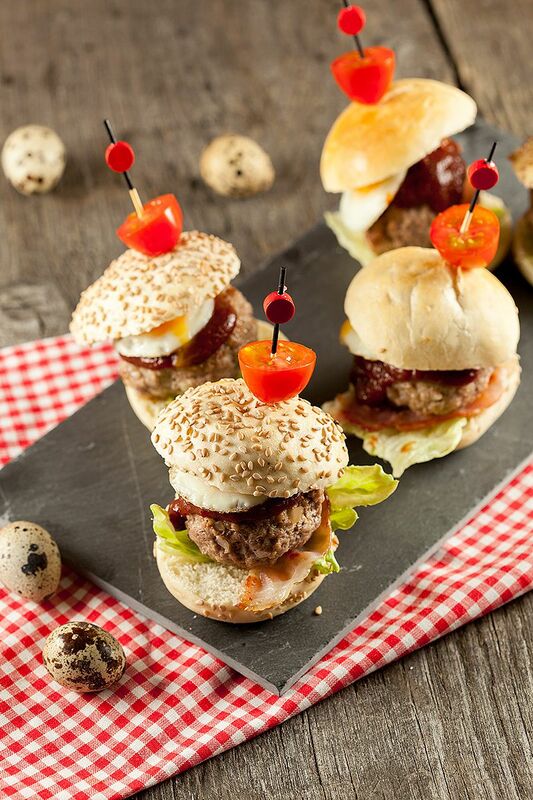 CUT the buns in half and start with a lettuce leave, then a bacon slice, the cute little burger, the tiny quail egg, BBQ-sauce and then of course close it with the other half of the bun.